106km cycling event starting from Marple. Controls at HOLMFIRTH and EDALE. 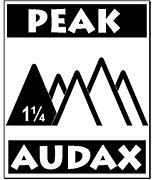 Start the Peak Audax series of Wednesday Grimpeurs with Holme Moss, Strines and Edale. Spectacular Peak District cycling at its best.